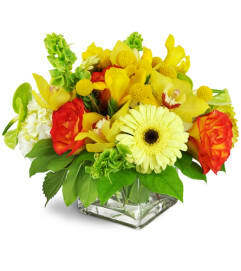 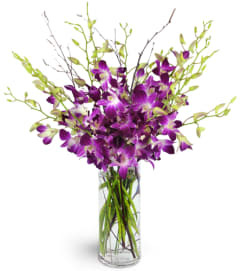 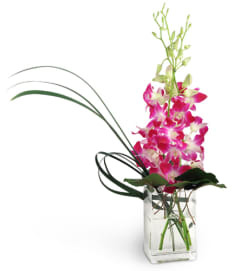 Indulge the senses in an arrangement that's equal parts exotic and enchanting! 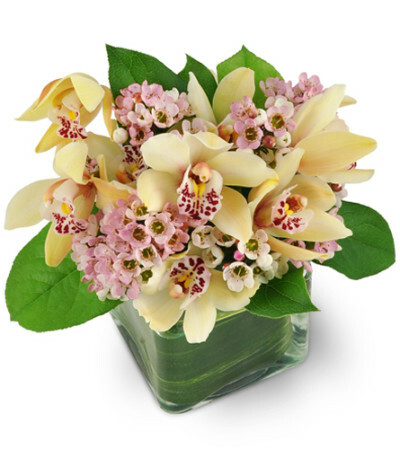 Exquisite mini cymbidium orchids are delicately accented with pretty pink waxflowers and come neatly nestled in a leaf lined glass cube vase. 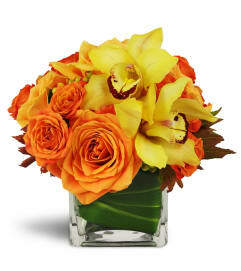 This lovely "any-occasion" bouquet will light up any space - it's truly the height of delight! Pink-tinted mini cymbidium orchids gracefully mix with pink waxflower and salal.